The Energizer XP1000 ultra slim rechargeable charger is an emergency back-up battery for cell phones, smartphones and more. 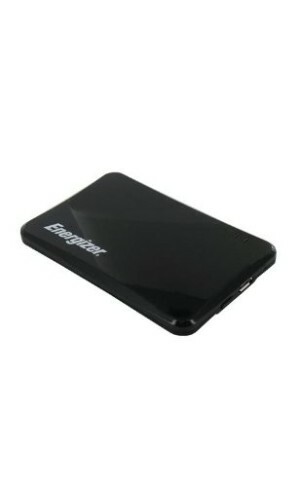 The ultra slim size makes it convenient to carry, yet it packs long lasting, reliable power. Provides most Cell Phones up to 6 hours of extra use. 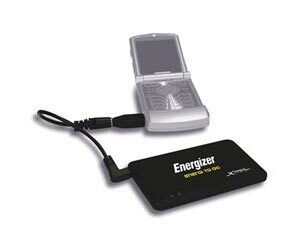 The Energizer XP1000 Emergency back-up battery for cell phones. *All of the above results vary by device and usage patterns. All products integrate a minimum 12 safety logics into every cell for maximum protection of the battery, device and user. In addition, each product uses a mathematical circuit control unit with built-in proprietary software to control and regulate temperature, voltage and current. The Energizer XP1000 Portable Charger is just one of a full line of Energizer Energi to Go solutions that is bringing convenient power to consumers, making mobility easier. Energizer continues to fulfill its role as a technology innovator by redefining portable power solutions to meet people’s active lifestyle needs for today and tomorrow with Energizer Energi to Go chargers for portable devices. FREE Tips For Life offers you an easy way to get TWO FREE tips a year for the life of your registered product. So if you change or upgrade any of your mobile electronics, you don’t have to worry about having the right tip for it.